For the ECDS “Big City” maps projects, “Brotherman” Dawud Anyabwile drew 360-degree streetscapes of scenes in the comic books so readers could zoom into the online version and look around, Google Maps-style. Image by Dawud Anyabwile for ECDS. Anyabwile’s 360-degree drawing of the home and neighborhood of “Brotherman” alter ego Antonio Valor. Note the details with shadows and the sun’s glare. Image by Dawud Anyabwile for Emory Center for Digital Scholarship. 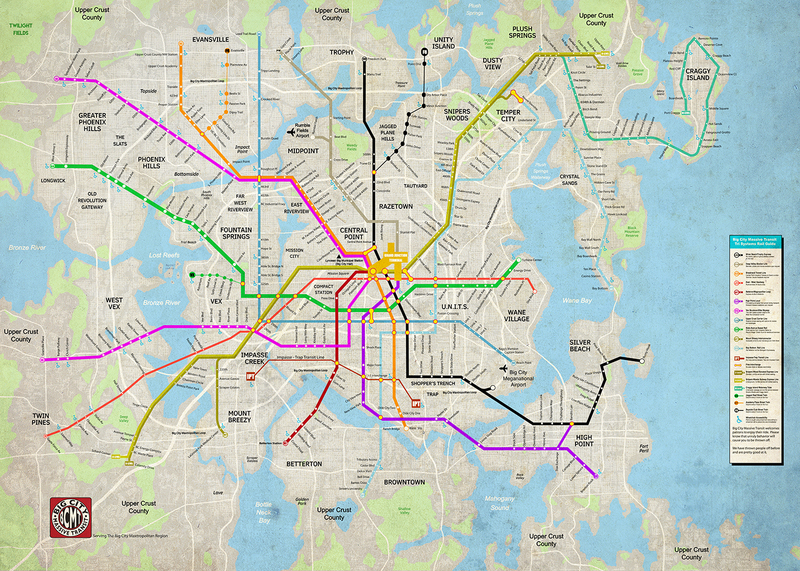 The map and subway routes of Big City, the fictional setting of the “Brotherman” comic book series, soon to be an online map that readers can click and zoom into, with 360-degree views. Image by Dawud Anyabwile for Emory Center for Digital Scholarship. Saturday, Sept. 2, 2017 at 12:30 p.m. Comic book fans can enter into the virtual-reality streets of “Brotherman: Dictator of Discipline,” an African-American superhero comic book, at an AJC Decatur Book Festival session featuring a digital project team from the Emory Center for Digital Scholarship (ECDS). The Big City Maps panel is scheduled Saturday, Sept. 2, 2017, at 12:30 p.m. at the Marriott Conference Center in Decatur, Georgia. 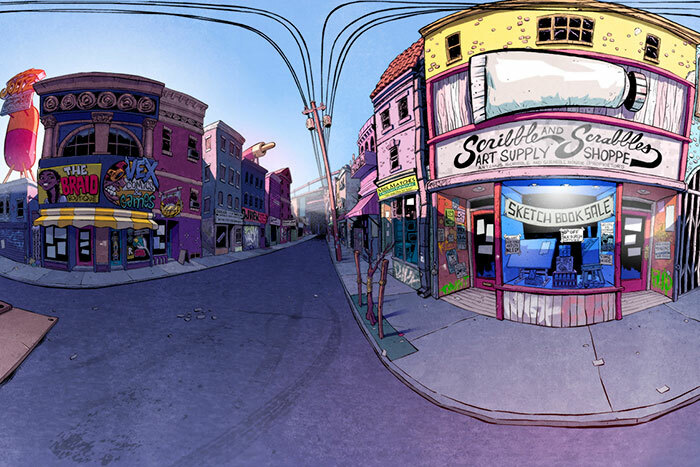 “Brotherman” artist Dawud Anyabwile and members of the ECDS staff will discuss how they transformed the comic-book streets of fictional Big City into a digital map with 360-degree panoramic views. A demo with virtual reality headsets will follow, in which two or three volunteers will engage in an immersive experience with the map of Big City. Screens will show the audience what the volunteers are seeing. The ECDS team working on the “Brotherman” Big City Maps Project includes outreach coordinator Clint Fluker, visual information/3-D specialist Arya Basu, geospatial librarian Megan Slemons, geographer Michael Page, and the “Brotherman” creative team of Anyabwile and Sims and their colorist, Brian McGee. Anyabwile, Fluker, Basu and Slemons will sit on the panel, moderated by Grace Gipson, visiting professor of African American Studies at Georgia State University. Created by brothers Anyabwile and writer Guy A. Sims, “Brotherman” details the adventures of the main character, a public prosecutor by day who wanders the street at night seeking justice in Big City. 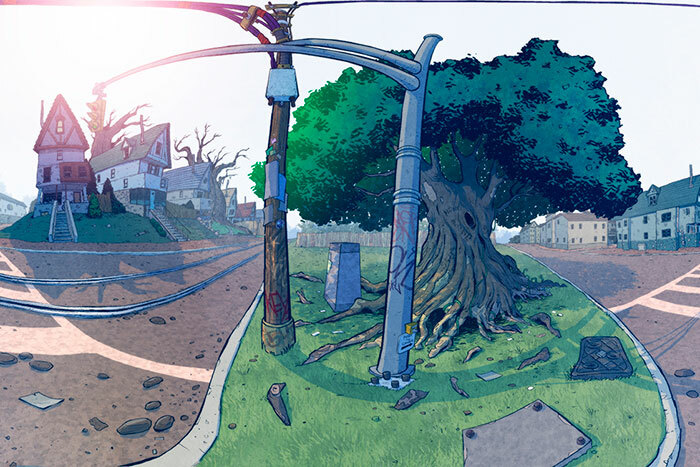 “Brotherman” is known not only for its African American superhero, but also for Anyabwile’s detailed cityscapes, which he expanded on in 360-degree detail as the ECDS team worked to translate the series’ locations into digital maps that take readers inside the stories. Once the project is finished, users will be able to visualize over 85 unique locations across Big City online at http://www.bigcitymap.com. 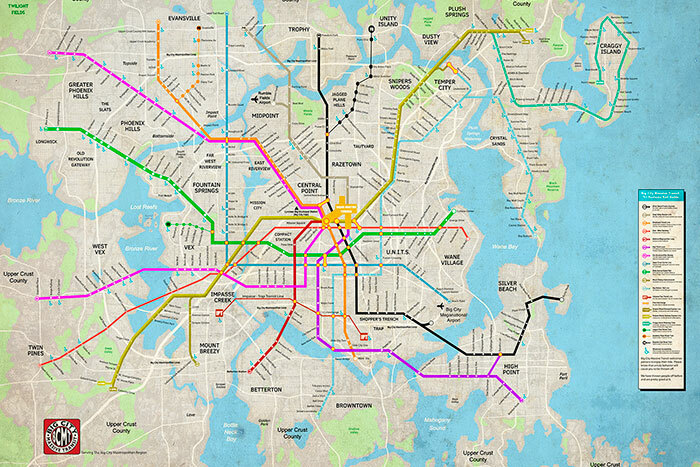 Each spot on the map marks a location in the story — usually a crime scene. And when the reader clicks on it, the address, a brief description of what happened there, and the image from the comic book pop up. Fluker’s inspiration for the project came from his dissertation research focus on examining literary movements in black speculative fiction. He says authors often map out locations while writing their novels, which helps bring cities and towns in their stories to life so clearly, such as William Faulkner’s Yoknapatawpha County, the setting for many of the author’s stories and the subject of a digital mapping project.